PJ's Auto World offers you the opportunity to take a stroll down memory lane with the option of owning the car of your dreams! Established in 1979, we are one of the original Collector Car Dealerships in the USA, located in beautiful Clearwater, Florida. 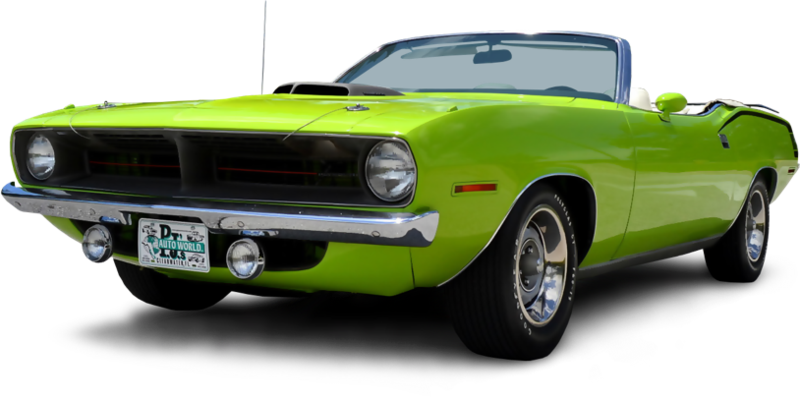 We stock a wide array of Classic Cars, Muscle Cars, Street Rods, Sports Cars, Classic Pickup Trucks, and Resto-Mods. Do you have a Classic Car to sell? We will purchase single cars or full car collections. You also have the option to consign your vehicle with us for FREE! We also offer a referral program that gets you paid if you refer a client to us, and we purchase their car. You will be amazed how far we have traveled for Mustangs, Camaros, Chevelles, and other high performance Classics. We are always in need of new inventory! Trades welcome, and financing available.